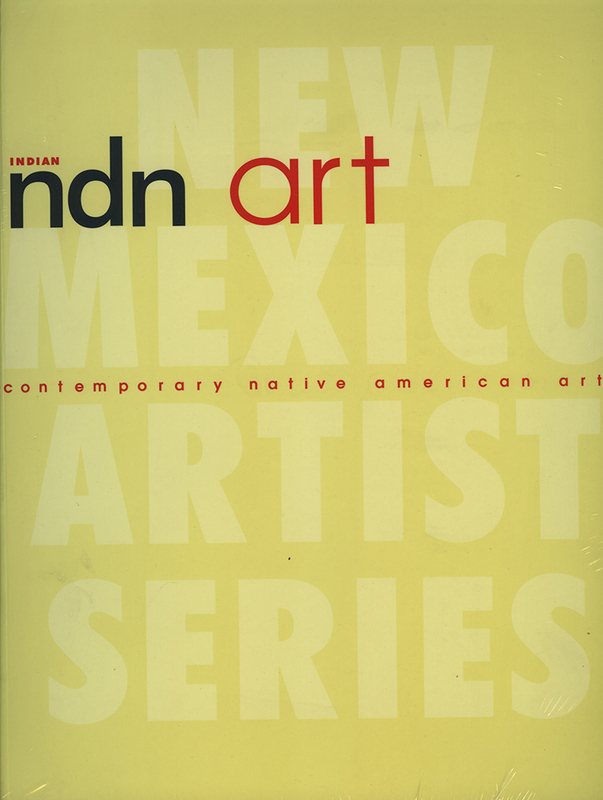 Indian artists from all over the nation have deep ties to New Mexico. A great many live and work in the state. Countless others have attended and/or taught at the renowned Institute of American Indian Arts (AIA) in Santa Fe, NM. All have exhibited their work at Pueblo and Indian art exhibitions, in major galleries, or at the annual Indian market hosted by the Southwestern Association of Indian Arts (SWAIA) in Santa Fe. Almost without exception, Native artists draw upon their heritage for inspiration, and usually for form and content as well. Some create their art using traditional mediums and designs; others explore modern, sometimes unorthodox subjects, styles, and mediums. The visions expressed in their art mirror the diverse experiences of indigenous peoples living in America today. Ndn presents examples drawn from the panorama of Native American art. Charleen Touchette's lively essay brings a contemporary perspective to Indian art. She also selected the artists to be included in Ndn, some of whom are Allan Houser, R. C. Gorman, Arlo Namingha, Margarete Bagshaw-Tindel, Kevin Red Star, Anita Fields, and Joel McHorse. Each artist is presented individually in profiles by Suzanne Deats. Charleen Touchette has taught and lectured nationally, including at the Minneapolis College of Art and Design, National Museum of the American Indian, Smithsonian Institution, and Walker Art Center in Minneapolis. Suzanne Deats is a Santa Fe-based arts writer and editor. She has published hundreds of reviews and interviews and is the author of several art books.